As the fourth of July holiday weekend approaches, families and friends, retailers and law enforcement all gear up for what the celebration will bring. While everyone is making their plans, special attention needs to be given to the responsible use of alcohol. •Be sure to limit access and take steps to prevent the use of alcohol to minors. 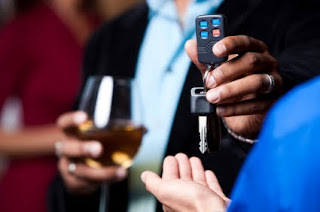 •Take steps to ensure that anyone who has consumed alcohol does not drink and drive. Many people mistakenly think that if they are just slightly impaired, they are still capable of driving. Buzzed driving is drunk driving. In 2007, 34 percent of all drivers involved in traffic-related crashes during the July 4th holiday period (6 p.m. Tuesday, July 3, 2007 to 5:59 a.m. on Thursday, July 5, 2007) had a blood alcohol concentration (BAC) of .08 or higher, the legal limit in all states. Driving impaired is simply not worth the risk, no matter the level of impairment. Alcohol not only affects each person differently, it can affect the same person differently. The effects change based on your food consumption, chemical interactions with other medications and general health. Don't let this Fourth of July blow up in your face. Remember, Buzzed Driving Is Drunk Driving. Designate your sober driver before the parties begin. For more information, please visit http://www.stopimpaireddriving.com/.